Great for gifting. Contains Black loose/leaf tea grade FBOP from the lower elevations of Ceylon with pineapple, ginger, marigold, and flavors orange and ginger. Cup color is medium. 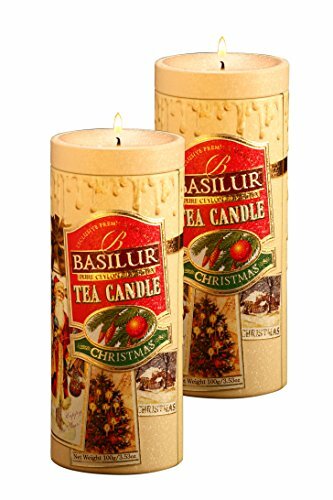 Actual tea candle included that can be lit. Stunning Holiday and Christmas tea gift. ✅ Two Candle Tins with 100g of Luxury Loose Leaf Tea And a candle on top of the tin. ✅ Basilur obtains the choicest tea leaves from the very source of its growth. If you have any questions about this product by Basilur, contact us by completing and submitting the form below. If you are looking for a specif part number, please include it with your message.